At least three people have been killed by an explosion that partly destroyed a block of flats in the northern French city of Reims, officials say. Reims Mayor Adeline Hazan told BFM TV that the explosion at the four-storey building was probably caused by a gas leak. Police said another 14 people were injured, including a number of children. Images show one end of the building has collapsed. Adeline Hazan told BFM TV the blast – which happened at 11:15 – had been “very strong” and had shattered windows in other buildings. Two bodies were brought out of the rubble during the morning. A third was found later by search teams. By Sunday evening, two residents were still thought to be missing. Ten flats were thought to be affected. The building, in the Wilson area of Reims, is described as social housing dating back to the 1960s. It was renovated several years ago but residents said that while the front had been re-painted, no change had been made to the interior structure. 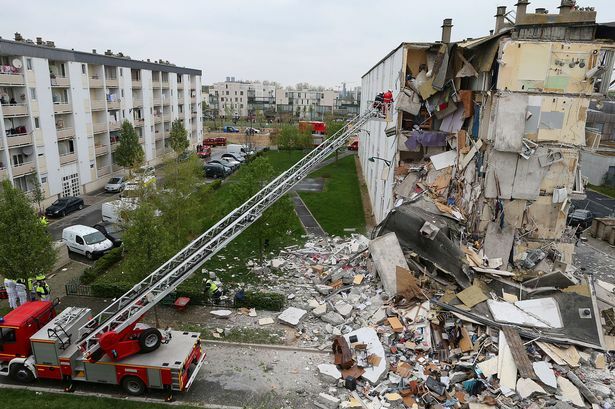 A gas explosion in a flat in nearby Witry-les-Reims in early April left four people from the same family dead. Housing Minister Cecile Duflot has promised a full inquiry. “It appears the building was well maintained. All the necessary checks were carried out on the appliances,” Cecile Duflot said. In a statement, President Francois Hollande sent his condolences to the victims’ families and his solidarity to the city of Reims.